a neighbor in The Colony. They speak through the screen door, which is covered tightly by a vine called Dutchman’s Pipe, which produces beautiful white, waxy, pipe-cleaner-shaped flowers in the spring. 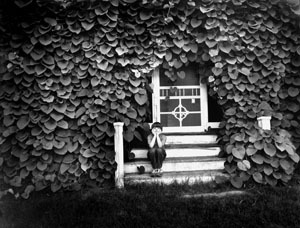 The vine is so overgrown, in fact, that Mildred cannot open the door to the porch.